The misidentification of the substance spilled during a crash on Northwest Highway in Barrington caused valuable time to be lost in cleanup efforts that led to nearly three days of lane closures, authorities said Friday. 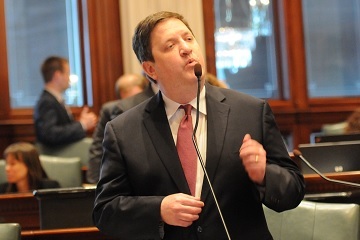 McSweeney, Lake County's corporeal State Representative, is out front on an effort to sweet-talk the State Legislature into torpedoing any proposed tax on sugary beverages. 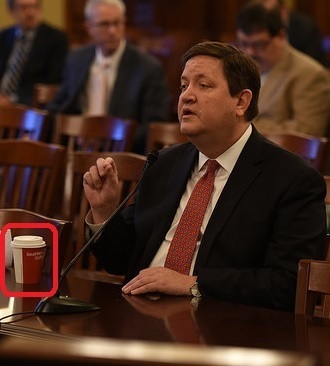 One spokesman said: "These beverage taxes represent a sweetheart deal for the fat-cats in Springfield. We should be trimming fat off of the budget instead." Another spokesman said: "Any tax on soda is a whale of a mistake that will fail like a lead balloon." One spokesman spoke from the Capitol rotunda: "Fat chance we'll see a beverage tax, now. Not after we finish'em off."